Hearing loss is the third most common chronic medical condition in the U.S., where over 45 million people have significant hearing impairment. Most hearing loss is permanent, meaning that while hearing loss can be effectively treated, noise-induced hearing loss cannot be completely restored. Fortunately, there are preventative measures that can be taken to reduce your risk of hearing loss. The leading cause of hearing loss is due to exposure to dangerous levels of noise. Our world is loud – and getting louder, and exposure to loud noise can cause irreversible damage to the auditory system. While it can be hard to eliminate excess noise from your daily life, protecting yourself from it can help you maintain lifelong healthy hearing. 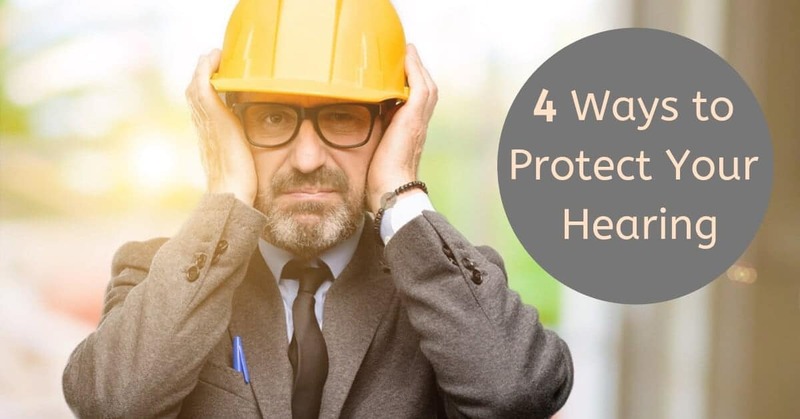 In order to protect yourself from dangerous noise levels, it is important to recognize what constitutes a threat to your hearing. Human hearing is calibrated to sounds that fall within the range of 0 decibels to 75 decibels, 0dB being the quietest sound detectable by the ear, and 75 dB being about the sound of a vacuum cleaner. Sounds louder than 75 dB have the potential to cause permanent hearing damage and the louder the sound, the quicker it can injure your ear. An important threshold for workplace safety is 85 dB, about the sound of loud traffic or a factory floor. A constant sound level of 85 dB damages your hearing after 8 hours of exposure. Worksites that expose you to 85 dB of noise consistently are required to provide you with appropriate ear protection. Louder sounds can cause hearing damage in dramatically shorter time. At 95 dB, noise exposure is only safe for around one hour. The volume of an average rock concert, 105 dB, can damage your hearing in under 15 minutes and sounds over 120 dB are unsafe for any amount of time. If you want an easy way to recognize dangerous sound levels, try installing a decibel meter on your smartphone. Free apps are available that allow you to quickly assess the volume of your surroundings and see if you need to use hearing protection to avoid hearing loss. Making a hearing exam an annual habit can help you stay ahead of hearing loss. Regular hearing tests help detect early indications of hearing issues and curb further hearing damage. Additionally, hearing damage that is found early is easier to treat with hearing aids and assistive devices. Prolonged untreated hearing loss places a cognitive strain on the brain and gradually alters the pathways our auditory system uses to comprehend sound. When treated early, the detrimental health and wellbeing effects of hearing loss can be curbed and treatment paths like hearing aids or assistive devices are more naturally adapted to. Not every loud environment can be predicted and avoided, so in addition to recognizing harmful sound levels and avoiding them when possible, it is also important to have hearing protection you can use when you need it. Talk to your audiologist or hearing specialist to learn more about the type of hearing protection that would work best for your needs. Earplugs can offer some protection from everyday noise, but if damaging sound levels are part of your lifestyle or workplace environment you will want to consider custom hearing protection. Custom hearing protection is a great option for musicians and music lovers, hunters and sport shooters and even people who live close to airports and highways. Many people are surprised to learn that the volume of your phone, stereo, computer and television can easily exceed dangerous noise level thresholds, even more so if you are listening through earbuds or headphones. Volume levels aren’t calibrated for hearing safety, and so monitoring these noise levels is left to us to understand and undertake. Hearing damage is often subtle and gradual, so loud volume often doesn’t feel physically painful, even when it is producing hearing loss. It is important, therefore, to err on the side of caution when it comes to volume levels. For listening through headphones, start with a low volume and only turn the sound up to a level where you can hear it clearly. Volume levels throughout your home should follow the same principal – set them just loud enough to be heard clearly in one room. Don’t increase your volume levels compete with other loud noises in the environment. This can easily escalate sound to hazardous decibels. When in doubt, use a decibel monitoring app to assess your volume settings. At Hearing Group, we are committed to all aspects of hearing health – from prevention to treatment. If you’ve noticed changes in your hearing or simply want to learn more about protecting your hearing abilities, contact us today for a consultation.